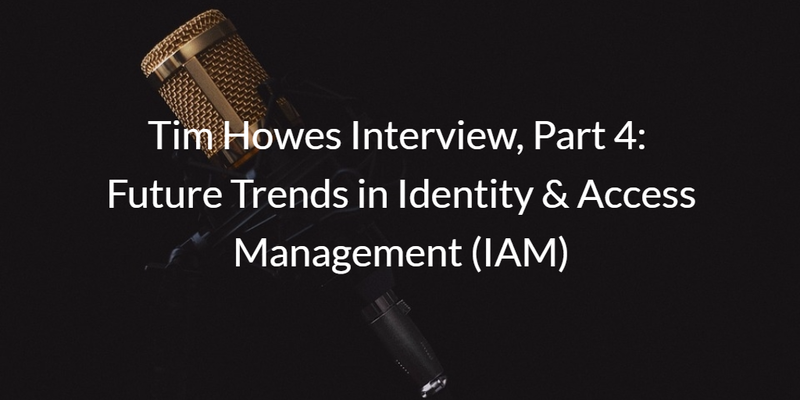 In this final installment of our series with Tim Howes, we will present Tim’s answers to our questions about the future of Identity & Access Management (IAM). For those who aren’t familiar, Tim Howes is a significant player in the world of IT. 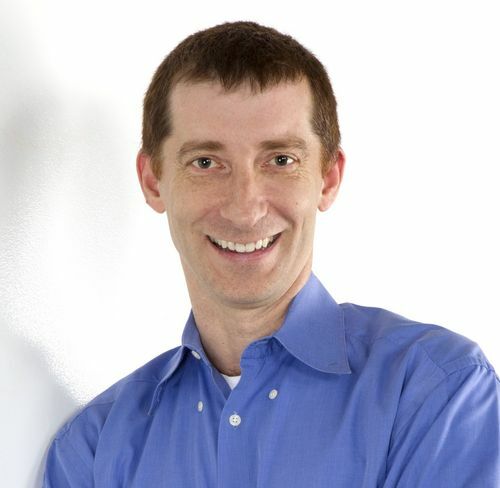 He and his colleagues at the University of Michigan created LDAP in 1993, and Howes has since been an influencer in the model of SaaS and IaaS that we see today. Currently, Tim is the Chief Technology Officer at ClearStory Data (a leading provider of fast-cycle data) and also serves as the executive chairman of Know Yourself (a organization that aids children in achieving self literacy). On top of this, he sits on JumpCloud’s Technical Advisory Board. Throughout his career, Howes has repeatedly demonstrated his vision – proving time and time again that he can see what’s coming behind the bend in IT. That’s why we were especially excited to hear his insights in this fourth and final part of the interview series, in which Tim shares his perspective on the future of IAM. Q: How do you see the IAM space evolving? Tim Howes: There are business roles and there are personal roles. You might say that Facebook or Google are the authentication sources for my personal life, whereas maybe Salesforce or LinkedIn is the source for my professional life. Today, those roles are being mixed together too often. All of these large players are competing with one another to take on the role of de facto authentication source. It’s a little bit haphazard. So, I think that this needs to be more formalized. I would like to see a little more cooperation between the different large authentication systems that have arisen. The goal would be that you could easily segment the different personas that you have that you use throughout your day. The lines are also blurring with devices. People are bringing their own phones into work, and also their own laptops. Some IT organizations are responding to these changes in a proactive way. They’re accepting that this is the direction the world is going and they need to deal with it using new administrative solutions. Other organizations are still holding on to the past, trying to more tightly control what you can and can’t do. But that battle is lost. It’s over. You need to accept the way things are and move forward. Q: What advice would you give an IT admin or a business decision-maker about how to progress with identity management? Tim Howes: The advice that I would give to customers is this: just look forward. You’ve got to think about your needs, not just today, but in the future. The groundswell of movement to the cloud – away from running local services, local servers, away from having anything that you need to maintain – is such a tsunami. The migration is happening. It’s much better to try to get out in front of that, than it is to be the last person to embrace it. If you look at the advantages of JumpCloud’s service, where you actually have this central point of management that can mesh with your other cloud-based services, as well as handle your local services, it’s so clear to me that the future of directory services is in the cloud. Technology shifts quickly. Before you know it, you find yourself on the wrong side of history, with the wrong technology. That’s a painful world to be in. It’s better to get out in front of it now. LDAP-as-a-Service grants IT/ops teams the ability to minimize LDAP hassle. You can learn more about the how LDAP benefits from the SaaS model in our free ebook. You can also read up on JumpCloud’s LDAP-as-a-Service offering, which dramatically simplifies LDAP management and configuration. Don’t use anymore of your valuable time installing and setting up the networking pieces for LDAP. LDAP-as-a-Service can take care of the entire overhead of managing and ensuring the availability of an LDAP instance. If you want to see what this looks like for yourself, then sign up for JumpCloud and get started with 10 free systems.